With the rights to the Friday the 13th franchise still being fought over in court, there's no telling when to expect to see Jason Voorhees on the big screen again. To satisfy fans, one of the franchise's most memorable stars is making her own slasher movie, with most of its cast consisting of various stars from the Friday the 13th movies. Known for her role in A New Beginning, scream queen Deborah Voorhees is writing and directing 13 Fanboy, and has already put together a solid cast. The newest addition to the cast could be the most exciting one yet, as Voorhees has recently announced in her official Facebook group she's cast Corey Feldman for a role in the movie. Corey Feldman has appeared in many different movies in his career, stemming from his start as a child star. One of his earliest roles was of Jason's biggest nemesis Tommy Jarvis, originally played by Feldman in Friday the 13th Part 4: The Final Chapter. While most of the franchise stars involved play themselves in the movie, Feldman will be portraying a fictional character yet to be named. The other names attached so far include Kane Hodder, Tracie Savage, Thom Mathews, C.J. Graham, Jennifer Banko, Ron Sloan, Carol Locatell, and Feldman's Final Chapter co-star Judie Aronson. Vincente DiSanti and Andrew Leighty from the popular fan film Never Hike Alone are also attached to appear. A meta movie, 13 Fanboy is about a homicidal maniac who's deathly obsessed with the Friday the 13th franchise. He targets some of the biggest names involved with the franchise, killing them to "improve" their deaths over the ones given to their on-screen characters. Anyone who's appeared in a Jason movie is a potential victim of the titular fanboy. It's such a frighteningly real concept that many of these performers have had concerns about, as the star of the original movie Adrienne King chose not to accept a role based on her own troubling experience dealing with a stalker. The movie sought its funding through Indiegogo, originally set with a goal for $50,000. Because it surpassed its goal, the campaign remains active and there's still time for people to contribute. Now over $60,000, it's clear that fans are dying to see their favorite Friday the 13th stars back on the screen, knowing that it could be very long time before they get the next official movie. Although the writer of the original movie, Victor Miller, won a lawsuit determining who gets the rights to the series, the decision was appealed, further tying the status of the franchise up in the court system for the indefinite future. Feldman has long made it clear he's proud of his horror movie roots and his Tommy Jarvis character. The actor appeared as the host of the extensive Friday the 13th series documentary, Crystal Lake Memories. He'd also developed his own pitch for a new sequel which would bring him back as Tommy Jarvis for one more battle against Jason, although it never materialized. 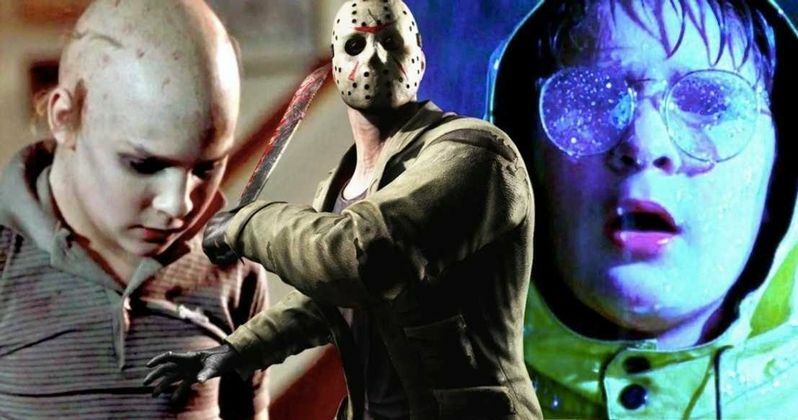 Perhaps mixing him with the other stars of the franchise will be the closest Feldman will get to another Friday the 13th movie, and it will certainly be awesome for fans to see him in 13 Fanboy. You can read more about the movie and donate to its campaign over at Indiegogo. Pretty brains, lightning fingers. Find me at @HorrorGeekLife. Friday the 13th Lawsuit Settlement Expected Next Month, What Does It Mean?